Did you know Jesus was funny and kinda rebellious? Did you know he had brothers and at least one sister? It's true! Has your image of Jesus been formed by storybooks, TV shows, or movies? If so, it's possible your view of Jesus may be somewhat one-dimensional. 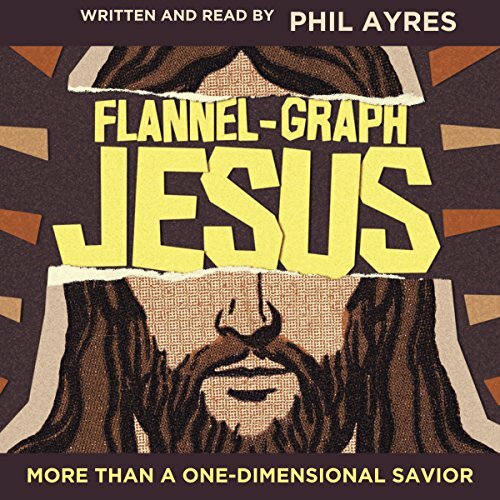 In Flannel-Graph Jesus, Phil Ayres provides unique and captivating insights into some of the lesser-known and inspiring characteristics of the Savior. When you realize that Jesus is more than he seems, you'll not only fall in love with the Savior, you'll learn to like him, too.